Dental x-rays are a vital diagnostic tool used to properly identify any underlying conditions that may not yet be visible on the surface. 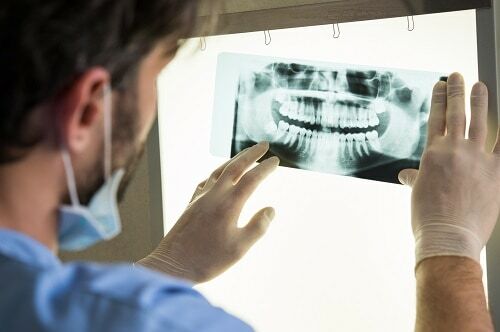 At our dental office in Long Grove, we perform dental x-rays only as often as necessary, which can vary from patient to patient depending on their oral needs and health history. We also understand our patients may have questions regarding dental x-rays, and we’d like to answer them so you can make the best informed decisions about your health. Bitewing x-rays are the most frequently used intraoral x-rays. They allow your dentist in Long Grove to see cavities in between teeth that aren’t yet visible on the surface. The images produced from bitewing x-rays also help keep an eye on the wear and tear of any dental restorations, such as a filling or an implant. We recommend visiting our Long Grove dental office at least every six months. We may not perform x-rays at every appointment unless it’s necessary, but visits twice a year are recommended so we’re able to catch problems early, making them easier, and often less costly to treat.